When it comes to spring, no color palette feels more seasonally appropriate than the girly pop of pastels and combining these refreshing hues is my favorite way to break away from winter's dark shades. Thanks to Pantone's fashion color report for spring 2013, I'm seriously crushing on African Violet and Dusk Blue. Are you ready to paint the town pastel this spring? Don't miss my look today including mustard sweater and an amazing black leather skirt with chains. In love with this outfit!! I love dressing up in pastels during the spring. Absolutely gorgeous look! I'm loving all the pastels. Super sweet outfit! I love all the pastel colors you mixed together. Perfect spring outfit! I love your style and blog. Thanks for visiting and commenting on mine! Aww, these pastels look great on you! nice necklace and love your bag! What a great give away. If you get a sec, check out my latest post 'One Shoulder Wonder'. I love the pastel look! I'm getting married in June and incorporating pastels into our wedding! I love the necklace with the mint top! So cute...glanced at the site and the gold fringe back is what I would pick! Jsheahay@aol.com Thanks for the giveaway! Loving the color of your necklace with that shirt, great combo! I love the pastels in your outfit, you look gorgeous! I'm not US based but my dad has a office there so I could ship it there if that is okay.. So light and springy! Thanks for the chance to win such a wonderful giveaway! Love this look! Such a pretty, soft look for spring. Liked on Facebook and following on BlogLovin! I saw that Bar III jacket and fell in love. It looks amazing on you! Love the way you put all those colors together... Great outfit ! Absolutely love these outfit. Love the colors, the purse really brings it together. So pretty colors ! Love this look !! Love the pastels. The necklace and purse are gorgeous. This outfit does scream 'Spring!' and I just love it! Can't wait to break out the pastels and take in the sunshine! It such a wonderful outfit. Really love the colours, great clutch! That bag is fabulous! You look great! Super cute, Anna! I love how the purple necklace pops off your top! So jealous of your sunshine. England is rather miserable.. Can't wait to start wearing spring outfits. You look great as always Anna. Loving all these pastels. With the weather finally warming up outside my window it's making me ache for Spring!! Gorgeous outfit, and that necklace is amazing. While I'm here I might as well enter this giveaway. I just liked Ruby and Jenna and I already follow you on Instagram. I'm all set. Obsessed with this leather jacket. You look great. Love you outfit and giveaway!! I've followed on all the spots. Thanks for the great giveaway! Love your clutch and bracelet! So perfect! 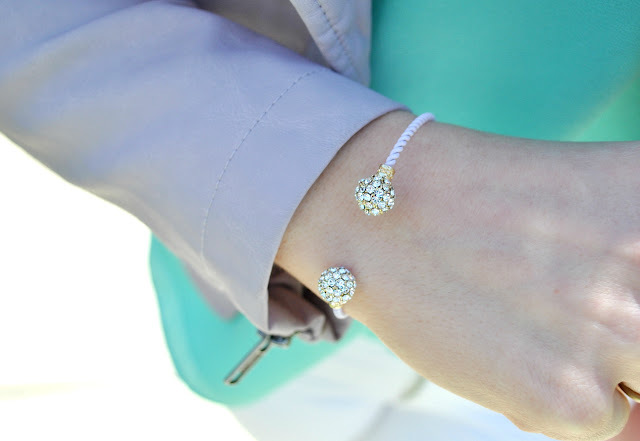 I am in love with your outfit and I love pastels for spring! OMG, such a cute giveaway! Pretty pretty pretty outfit! Love it all- especially that gorgeous top! I love the outfit, especially the bag! Hope you're having a good friday! Your necklace is probably my favorite part of this outfit! Well, and the bag. Seriously though, you have one of the coolest jewelry collections I've ever seen. I've been following your bloglovin for a while now, and liked Ruby and Jenna's fb - that handbag's so cool I'd probably be hunting them down without this. My e-mail's THEheelhound@gmail.com . 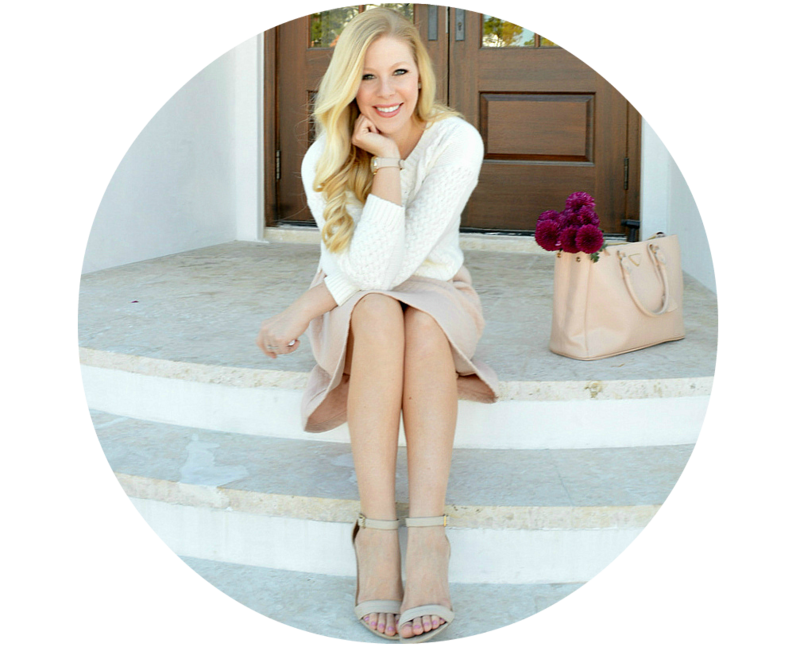 I follow Ruby and Jenna on FB and I follow you on Bloglovin! My user name for bloglovin is awhdarling. 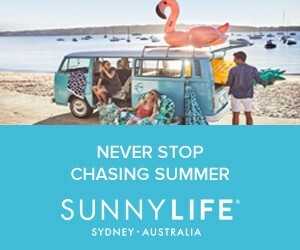 Great giveaway, would love to win!! I love this neon mint on you! so bright and happy. I need more sun! 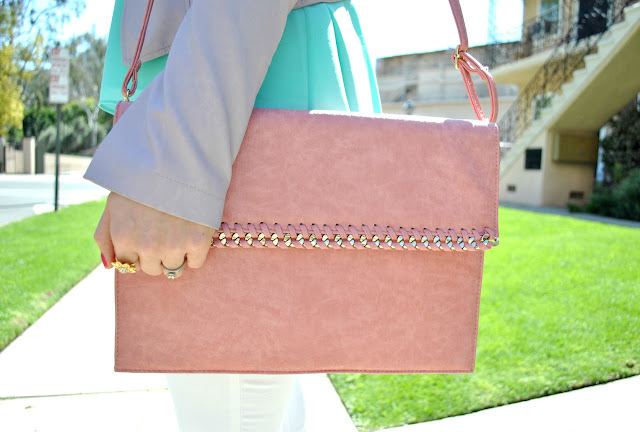 Love the bag and those pastel tones!! Love this bag, so incredibly adorable! Perfect for springtime. Such a cute outfit! My birthday is March 18th, so this would be super fun to win! Thanks so much girl. I like on Facebook (Amber H) and I follow you on Bloglovin (Amber). love the pastels! So pretty! Lovely look. It's the gray that gets me the most because it just effortlessly works. Beautiful! Wo pretty! Love the grey jacket. Liked on fb & follow you on Bloglovin & GFC. Anna, this is one of my most favorite looks I've seen thus far for Spring! The pastel color palette is so perfect. Love all the pastels together. I have recently done a post on stripes and neon. It would be great if you can stop by and leave a comment. Thanks. Amazing. You look so stunning. Super cute spring outfit, I love mint green colors! absolutely love this pastel look! Done! New to your blog and I'm in LOVE!!! Already purchased shoes and bags from the sites that you've mentioned. Amaze. Wow, I'm so glad I found your blog, because it's amazing and so inspiring. Those heels are so fun and I'm loving the turquoise! Such a fun look! Love your outfit!! You look like a spring blossom! I follow you on GFC, bloglovin and like ruby and jenna on fb. Thanks for the giveaway! love love love this outfit!! The shoulder/clutch bag is so cute!! Thanks! Love the outift! So glad spring is here. ah Anna! LOVE IT, NEED IT, WANT THAT BAG! How can you make everything look so adorable? Love that shirt! The color is beautiful. I followed the instructions for the giveaway. I liked them on Facebook, and follow you on Bloglovin! You are precious and love the pastels!